Like I mentioned in a previous blog, I've recently moved out and the first thing we decided to do was to decorate the bedroom. 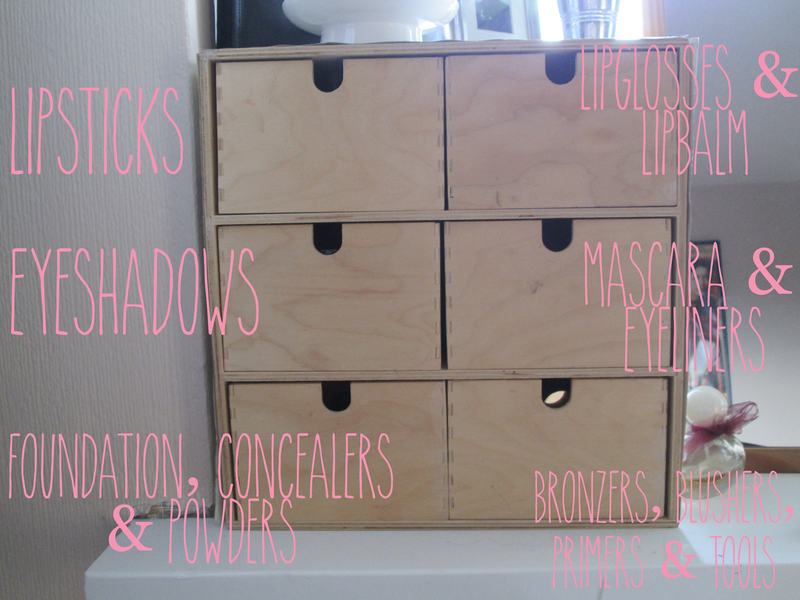 Every girl needs her makeup so one of the first things that came up to his house was my makeup station. I find it makes early mornings so much easier when all my makeup is organised and I'm not spending ages looking around the bottom of my makeup bag. I've had these drawers for about 7 years now and they're still in really good condition. They were originally used for all my stationary for school but since I grew up and discovered makeup, it seemed a perfect reason to keep them. I got it from Ikea for £15 and they also do them in different shapes and sizes. When I lived with my parents, my room was shabby chic and very girly so trying to bring some of that into our new room was not really going to work. Luckily I found just adding a few little pieces around my make-up station has made me feel right at home and actually goes quite well with the room.